Listening to shoegaze for the first time is a lot like falling in love. Fuzzy notes slow dive into you in dim-lit cafes that house more cats than humans. Their owners have 90s hearts. Your ears perk up to psychedelic notes dipped in blankets. Before you know it, you’re downloading albums and appreciating pillows. Shoegaze has happened to you. You’ll move onto other things, people and genres. Your Spotify playlist will thrive with less familiar forms of life. But you’ll always come back to shoegaze. I’ve wished upon an independent community to have a shoegaze band to come back to in India. I had a close call with Bangalore-based Lounge Piranha and Mumbai-based Lawntuba. But Imphal-based Lo! Peninsula burst into the foray suddenly in 2017 with their single ‘Chasing Tidal Waves’. I had a feeling I now had something to go back to. The band’s debut EP, ‘AKA Lo! Peninsula’, settled it for me. Its songs are impending works of art. They’re noisy, psychedelic experiments in sound. The first track ‘Another Divine Joke’ introduces you to the album with gritty notes that crumble in your mouth. Songs like ‘Sleight of Hand’ and ‘Quicksand (Nuffin)’ have delicious basslines that command attention. But its the story of how the band and their EP were birthed, that call for more of it. Once upon a 2017, Lo! Peninsula’s vocalist and guitarist, Nitin Shamurailatpam, bassist Avinash Thokchom and drummer Jyotin Elangbam decided to get together in a tiny room in Imphal, Manipur, to dish out some tunes. Until that point, neither Shamurailatpam, Thokchom or Elangbam had heard of shoegaze as a genre. The irony is not lost on any of them. They then actively listened to more shoegaze in the attempt to find their own sound. With ‘Chasing Tidal Waves’, Lo! Peninsula was born. But not all things were smooth in the making of ‘AKA Lo! Peninsula’. 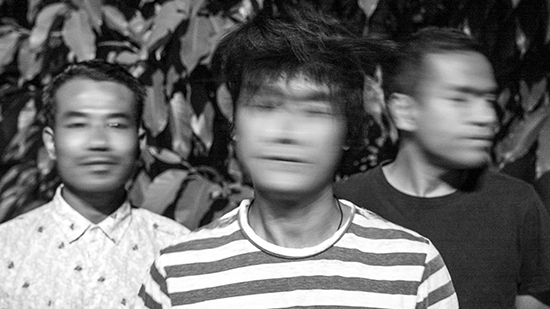 Having grown up in conflict-affected Manipur (the state is torn with violence between the military and insurgents), the band didn’t have access to necessary practice and recording equipment. There are no dedicated recording studios for independent artists in Manipur. Lo! Peninsula struggled to find a space to practice. A friend let them jam in his apartment, a tiny room in which they recorded their EP in August this year. Self-recorded artists are in abundance in India, but Lo! Peninsula’s DIY EP is a result of tumultuous labour. Each song took them approximately 13 hours to record. To achieve the thin, symmetrical layering that songs like ‘Final Roar’, ‘Flashback Kid’ and ‘Another Divine Joke’ have, the band had to record in bits and pieces. Interestingly, these layers don’t always translate onto the stage. Shamurailatpam explains that the band tweaks the solo parts around to provide a more layered experience. “Since we’re just a three piece band, it’s difficult to achieve complex layering on stage, but we try to work with whatever limited equipment we have,” he adds. 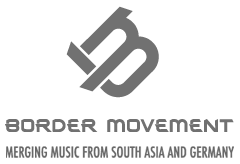 To add to the band’s troubles, hardly any venues in Imphal are receptive to independent music. According to Shamurailatpam, organisers don’t grasp the nuances of independent music. The ones who do, often struggle to gain sponsorship for concerts. So the band members did most of the work themselves. Perhaps there’s a benefit to their partial isolation from the independent community. For one, the band never had to bear expensive studio costs. Also, Shamurailatpam doesn’t adhere to linear hierarchy in trying to gain access to international press. He approached several international radio stations and music magazines. But he never imagined that Seattle-centered KEXP would revert with an offer to feature Lo! Peninsula in their morning segment with radio host John Richards, along with a full fledged interview with producer Owen Murphy. But microscopically, Shamurailatpam is working on building an independent music culture in Manipur. A large part of this includes encouraging organisers to pay local musicians the same amount of money they would to an import. It’s a lot like derailing colonial mindsets that are blind to socio-cultural standings of local talent. “To bridge the gap, we need more homegrown artists. There were a surprising number of people here who understood our music. This gives me hope that there might be more people interested in actively building an informed circle of listeners, musicians and organisers,” Shamurailatpam says. As for the future, Lo! 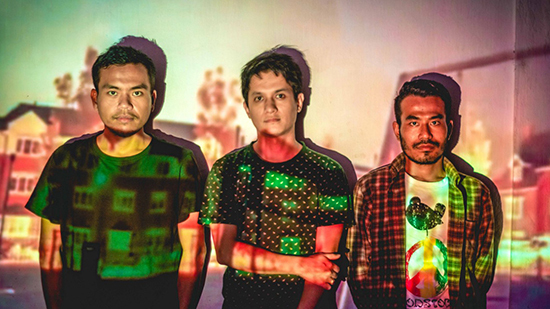 Peninsula just played at the Shillong Metropolis Festival and they’re in talks with venues across India to tour. If the tour works out, I wonder how many people will walk away with something to go back to.